In a modern world where almost all things are tech-oriented, the market is flooded with a great variety of gadgets from many different manufacturers across the globe. Here is a collection of the best 7 cool new gadgets you can get now. Nobody expects to have any kind of accident while they are riding a bike, yet accidents happen anyway. Even if you are the most cautious person on the planet, someone else on the road is probably too clumsy, drunk, or just unaware of a new traffic sign. In the event of an accident, the first thing you need is assistance from a healthcare professional or at least somebody from first responder team to take you to the hospital for immediate treatments. The Crash Sensor makes it all possible. Virtual Reality has really taken 3D imaging to a whole new level. Innovations keep on going, and now everyone has the access not only to enjoy 3D-based entertainment contents but also to create it on their own. The Teleport VR Kit includes a dual-lens camera and VR headset to make the works easier for you. 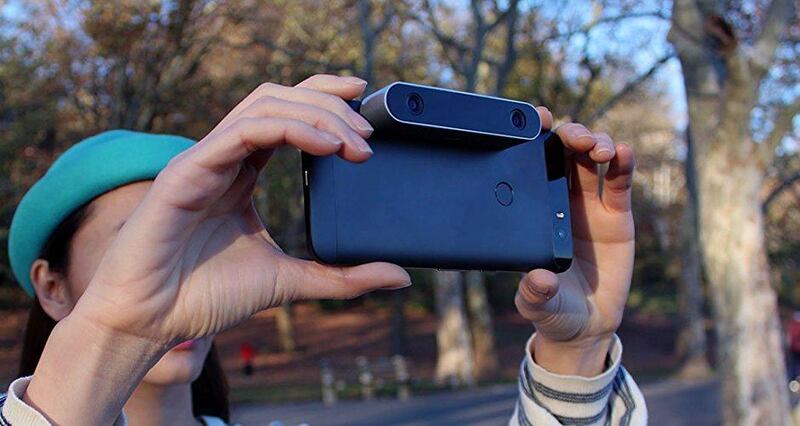 Simply connect the camera via USB port to your Android phone and record everything you see. Once the recording process is done, you can watch the video on the included VR headset (it supports phone size from 3-inch to 6-inch). You can also use another VR Headset such as Google cardboard. Price starts from $197.00. Manufactured by Nix Sensor, this small gadget scans any surface and detects the exact digital color information of the object. Used with the companion app (available for iOS and Android), Color Sensor stores more than 10,000 color information in its database and matches the finding almost in an instant. It is useful for painters, interior designers, and students. Color Sensor is quite small (no larger than average-sized palm) and it connects to your phone via Bluetooth. Price starts from $349.00. If you are an adventurous person craving for life experience in the wilderness under total darkness, Seek Thermal makes one of the best cool new gadgets that. Equipped more than 32,000 thermal pixels and detection capabilities to 1800 feet away, CompactXR is surprisingly tiny and designed to work with your iPhone. It detects temperature range from -40° F to 626° F under complete darkness. For mountaineers, outback travelers, and campers, thermal camera is both useful and fun to see the night with different perspectives. Price starts from $299.00. The camera on your iPhone is good enough to take photographs of your lunch, newly bought goldfish, and probably duck-face selfies. If you crave for better functionality and versatility of the camera, the Three-in-One Clip-On Lens is right up your alley. These lenses easily attach to the actual phone camera lens and transform the functionality in an instant. Included lens are fisheye, macro, and wide-angle. Best of all, the bundle is available from only $9.98. One of the most popular cool new gadgets of today is a 3D printer. Back then 3D printers were only accessible by the wealthy and for commercial application, and MOD-t intends to change that paradigm with its new desktop 3D printer. The peripheral is small, easy to operate, and portable. The outer shell is made of the clear transparent cover so you can see the printing process. It comes with built-in Wi-Fi, allowing you to send a selected design wirelessly from the manufacturer’s website. Price starts from $299.99 to $394.10. Some gadgets are created to make works easier, while others are for nothing but fun; Sphero Ollie falls under the latter category. In its essence, this small toy is an RC car, but with more sophistications. It is equipped with Bluetooth SMART connectivity, allowing you to control it from up to 100 feet away. The robot can travel at up to 14 miles per hour and climb a 20-degree incline with ease. Powered by rechargeable battery, you can play with it for about an hour between recharge. Price starts from $109.00. A gadget does not always need to be functional. Some gadgets can only do one or two things, and it is fine as long as they perform as advertised. But the key is that every new invention brings new excitement as well. So go ahead, give them a try and tell us which one excites you the most.